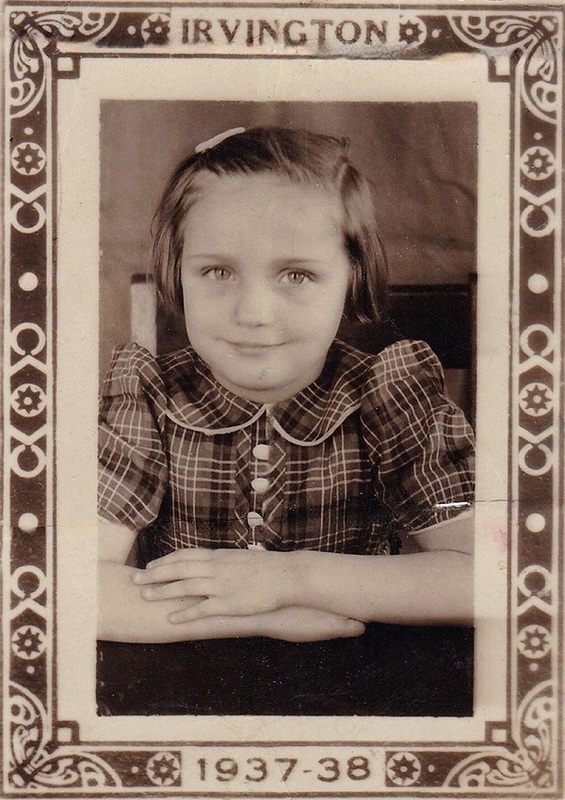 My mother, Jacqueline Bogner, taken when she was 4 years old, in 1937. This is possibly from a Kindergarten in nearby Irvington. Here is her signature from the back of the photo.